Description: Charming, move-in condition, with many recent updates including Baths, Kitchen, Vinyl Siding, CAC, etc. Large Deck off Dining Room and Covered Patio w/radiant heated flooring off Family Room. 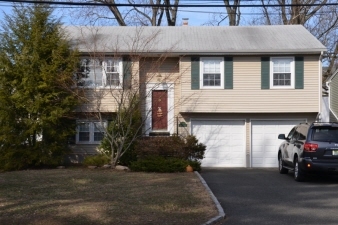 - Crown Molding, Built-in Bookcases, New Garage Door Opener, Hot Water Heater, Landscaping & Fenced Yard in addition to being coveniently located to NYC Transportation, schools and shopping, Golf Course and Parks all add to the allure of this wonderful home.